Do you have a house full of unwanted items? Perhaps you are a crafter, writer or photographer who would like to make money by selling your work online. With the massive changes that have happened online in recent years, it has become easier and cheaper to put what you want to sell in front of a much larger audience than ever before. However, this wealth of opportunity also makes it much harder to know where the best place to sell online is. Yet, with a little knowledge you’ll be able to make the right decisions from the outset. 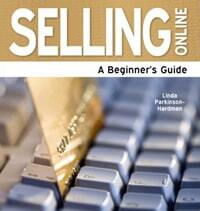 Although this informative, easy to read book is written for the beginner online seller, it has a wealth of hints and tips that can make a big difference to those who have been selling online for some time. It covers a wealth of information that includes what to sell, where to sell it, how to price for profit and take payment online, how to create winning product descriptions and market your products successfully. It also has a chapter on the tax and legal implications of selling online and in-depth chapters about selling on eBay and Amazon. There is also a handy tick list to download that will make sure you don’t forget anything.